You must order the Invitation Card to be able to add Additional Cards to your order. These must be ordered / designed at the same time as the Invitation. Or another (full rate flat card). i.e. 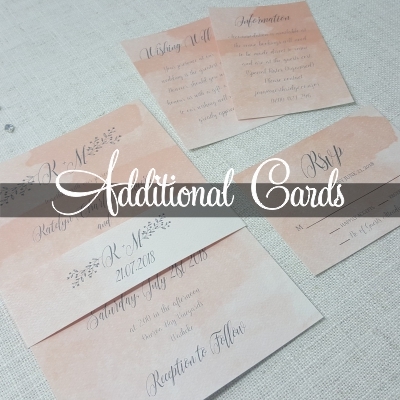 Additional Cards at the same time as an Invitation may be RSVP, Wishing Well, Direction Card.